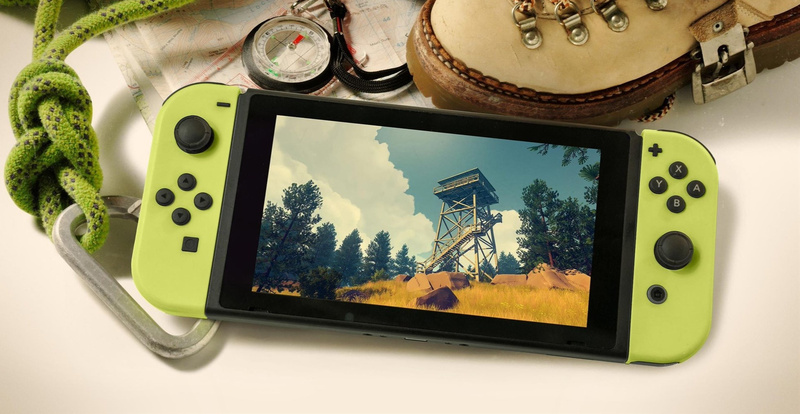 Campo Santo's award-winning 2016 title Firewatch will make its way across to the Nintendo Switch before the end of this year. Following the developer's co-founder saying how close the Switch version was to release in November, the studio has now locked in 17th December as the official launch date. In the Twitter announcement, it was confirmed this eShop release would cover America, Europe, Australia and Japan. According to the developer, the price of the game will apparently be the same as it is on other platforms ($19.99 in the US), so you won't have to worry about Switch tax for once. Currently, there's no word on a physical release. Always wanted to give this one a try but couldn't. Will be picking this one up! So... day 1. You know.... mixing it up every now and then. So this is one of those “playable experiences” (my definition: a game with realistic scenery and a great amount of narrative, but not much gameplay) rather than a traditional video game, correct? @PolarExperience Yeah, you could go with that description but I might add, that I'll double dip because this one has amazingly good narratives and a tiny bit more interaction/gameplay then only walking through beautiful sceneries. In short: it's an outstanding experience. But that's, of course, personal taste/opinion. Did you notice that all the best indie games ever released are coming to Switch? Depends heavily on what you consider gameplay. I'm a big fan of traditional adventure games as well as exploration driven games, and games that provide an opportunity for genuine roleplay. Firewatch scratches a bit of each. It's a much more calculated and structured experience than something you could call a "walking simulator" or a "rummage through the stuff others left be hind"-sandbox. Just going to get it on PC instead. Is this a similar experience to Everybody's Gone To The Rapture? That was my GOTY that year. It isn’t. There is absolutely no change from the PS4 version and the game has one ending only. It makes no sense to buy this again. Wrong site pal, this ain’t PCGamer. @Dazzle how will you play it on the bus? Yes. Double dip on this, no question. Well I guess they technically hit "in 2018", even if it is eight months later than planned. I recall watching part of a playthrough of this game but didn't watch it to the end; I was trying to avoid some spoilers. Definitely something I'll pick up when I get the chance. Can’t wait! I have wanted the game for a while, but never pulled the trigger on other platforms. The Switch is the most convenient console for me, so this will be the time to buy! Great game. Loved the setting of it all. Excited to finally give this a go, gives me more reason to try and finish hollow knight before the 17th! Still waiting for physical option. @gloom Haha! I wish I had the time to play/ buy everything on my wishlist! For those who’ve played this about how long of a game? @Denoloco Phrase of the day: Did you know that there is such a thing as an opinion and people can do what they want to do, even buy a game on a different console? I might get this eventually but my Switch is going to be all booked up for the rest of the month starting on the 7th. @Mamabear I can't speak for everyone (I'm told that making different decisions changes what happens, but I've only played it once), but I finished the game on PS4 in seven hours. I very much enjoyed this experience on Steam. I am not going to buy it again, but I heartily recommend it for who hasn't played it before. I do think the GPD WIN 2 is a great device, and a real improvement over their previous model. But I find myself favoring the Switch, even on the go — despite it not being easily “pocketable” — mainly because of its larger screen size. I might have felt differently a decade ago. But as I age, I find it progressively less comfortable to use (relatively) smaller screens. To be fair, GPD WIN 2’s screen is almost as large as it could be, given its form factor, and probably is adequate for many users. Ooooh, yes, I’ve been looking forward to this one! I ended up passing on it on PS4 when I heard there would be a Switch release. @sfb I agree, but the GPD Win 2 uses a 6" screen and the Switch uses a 6.2" screen (both 720p), so there's not a lot of difference between them. @Mamabear "Haha! I wish I had the time to play/ buy everything on my wishlist!" I doubt your the only one on that list. I even got 3DS games that needs finishing up. Nice, been on my "games I need to buy"-list for a long time, maybe time to get it now. 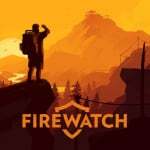 "Firewatch won the award for Best 3D Visual Experience at the Unity Awards 2016, Best Indie Game at the 2016 Golden Joystick Awards, Best Narrative at the 2017 Game Developers Choice Awards and Debut Game at the 2017 British Academy Games Awards." They should definitely shout about their awards a lot more... update the trailer to call them out, update the website to mention them... Great little game and I'l definitely be picking this one up on Switch, but I'm sure they'd get a whole lot more impulse buys if they highlighted their very impressive awards - if only the BAFTA! Or is it a BAGTA... whatever... stick that mask logo all over your game. Crazy not to! Eager to play it but I'll keep waiting for a potential physical release.